The Kiddy Smartfix is unique! Between the ages of 4 and 12, children will grow around 4 to 5 centimetres per year. This results in an average growth of almost half a metre during the life of a child car seat. Therefore the Kiddy Smartfix is designed to easily adjust along three dimensions – height, width and depth – to perfectly fit a growing child, no matter what their age. With its 14 unique height and width adjustments and three leg support settings, the Kiddy Smartfix can expand to become 9 cm wider, 15 cm taller and 6 cm deeper to offer the perfect fit every time! So even larger children, up to 150 cm tall, should never feel uncomfortable especially on longer journeys. The child will always sit securely and comfortably in an ergonomically correct position. The Kiddy Smartfix uses ISOFIX connectors to provide a secure attachment to the car. High performance impact-absorbing materials are built into the head and shoulder areas to protect the child. The Kiddy Shock Absorber has new geometric design. The Kiddy Shock Absorber, along with the diagonal belt guide, will reduce forces / load in the event of a frontal impact. Stiftung Warentest, ADAC and ÖAMTC awarded the Kiddy Smartfix a ‘good’ result in their stringent safety tests. The safety test experts from Stiftung Warentest and ADAC highlighted in particular that the Smartfix had a “very low risk of injury” in a side impact. 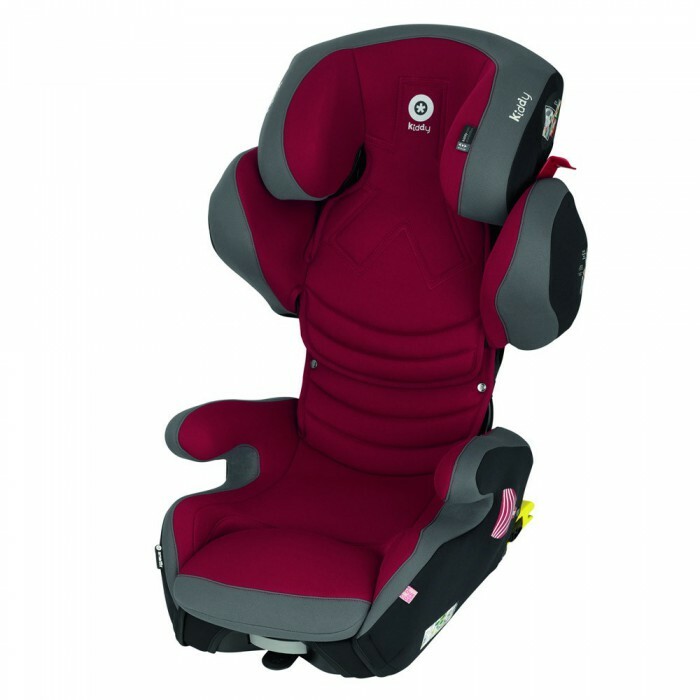 The experts noted the very low risk of incorrect operation; the simple installation of the seat in the car; the spacious seat for the child, and the good visibility out. The testers concluded that the Smartfix was a: “Good child seat for children from approximately 3 years onwards, with an additional ISOFIX fitting option (in cars fitted with this). This increases the lateral stability, and prevents the tilting of the seat during cornering.” With quality and workmanship has being rated as ‘very good’ and reference made to the comfortable seat and extending leg rest; the Kiddy Smartfix really is the smart way to transport your child!